Some of the people and garages around the UK who can help maintain your Bongo – many mentioned by Bongo owners as having been helpful. Some areas of the country do not have specific Bongo only garages, but some garages do have experience of working on Bongos. A & S Motor Repairs, Caerphilly, Wales (Service, repairs, welding, MOTs). Have worked on quite a few Bongos. Andy’s Imports, Honingham, Norwich (2L petrol Bongo imports). Positive comments from his Bongo customers. Read an article about Andy’s Imports on the Lifestyle page. AVW (Advanced Vehicle Workshop) Caernarfon, North Wales. 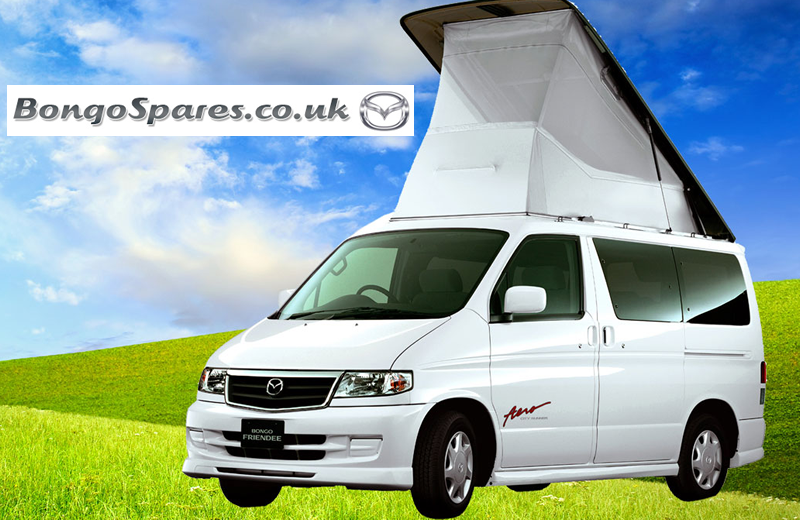 Mainly work on VW & Audi vehicles, but also have considerable experience of Mazda Bongo. Part of Bosch Service and a Which Trusted trader. Bongo Spares UK Ltd, Unit 5 Rishworth Business Complex, Rishworth, Sowerby Bridge, West Yorkshire. Campers Scotland Ltd, Grangemouth, Scotland (Sales, servicing, parts) One Bongo owner mentioned Stan, as a great mechanic. Field Fleet Services, Birmingham (Includes light commercial van servicing and repairs) Recommended by a Bongo owner after an engine rebuild. Heneage Road Garage, Grimsby – Automotive repair centre and Bongos (Steven Brydon and team). Ivy Motors, (no website) Darton, Barnsley, South Yorkshire. Tel: 01226 382480 (Welding and body repairs). A small business that I have used for occasional repairs since the 1980s and who replaced the driver’s side sill on my Bongo in June 2016 and someone else’s Bongo a month later. JJ Motors, Cardiff, Wales (Mazda Bongo specialist) (Facebook) (Testimonials) Not quite sure what is going on with this company at present. As of 6 January 2017, their social media sites are offline and the website mentions expansion abroad. One Bongo customer who recently visited, wasn’t impressed with the quality of service received. Jordans Garage Ltd. Eashing Lane, Godalming. Phone: 01483 415201 (Recommended by a Bongo owner). (No website). Lakeside Garage, Middlesex (Repairs, parts) (Testimonials) (Seems to have replaced 321 Away, but had mixed feedback from Bongo owners). Smiths of Alvechurch, Redditch, Birmingham (Servicing, mechanics, welding) Not specifically Bongo, but recommended by a Bongo owner who uses their services.